Put your trust in the fully qualified accountants at Berkeley Lifford Hall in Corsham, Wiltshire, when you want to optimise the efficiency of your business. 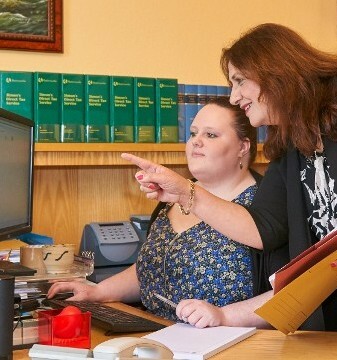 Our diligent professionals offer quality bookkeeping and accountancy services to keep your finances in check. It is important to maintain up-to-date accounts for tax purposes as well as for possible submission to banks and finance providers. Account management is also useful in helping make business decisions that require you to take action. We provide monthly, quarterly, half-yearly, or annual management of accounts. Berkeley Lifford Hall select and implement the most suitable bookkeeping software for your business. This involves preparing management accounts in the most suitable format to help you take control of your business. These may be monthly, quarterly, or however long you prefer. Advising - We advise you on all aspects of record keeping. Maintaining - We maintain all bookkeeping records, including VAT. Managing - We maintain and manage your credit control system. Handling Change - We handle all starters, leavers, deductions, and code changes. Dealing With Tax Forms - This includes forms such as P45 and P46. Handling Issues - This includes sick pay (SSP) and maternity pay (SMP). Providing Payslips - We provide payslips by post or electronically. Providing Reports - We provide the reports you need as the employer. Handling Day-To-Day Queries - This may include queries from HMRC and you, as the employer. For added convenience, we provide a full VAT compliance service. We manage all aspects, from maintaining your records to submitting your returns online. In addition, we offer specialist VAT advice in complex areas. This may include property transactions, partial exemption, and disputes with HMRC. 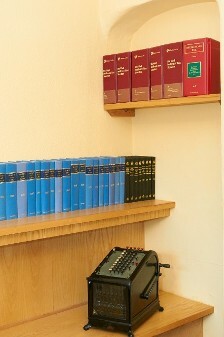 We even represent you at VAT tribunals. Take advantage of our highly competitive rates to receive exceptional value for money. We take away the hassle from what is a major administrative burden for many businesses, at a reasonable cost. In addition to bookkeeping and accountancy services, we offer trusted audit and assurance and corporate finance services that are praised by clients. and accountancy services offered by our trusted consultants.